Martin ukuleles are difficult to date. This model was in production between 1923 and 1940. Based on the bar frets and the tuners, it is believed that this instrument was constructed in the late 1920's. 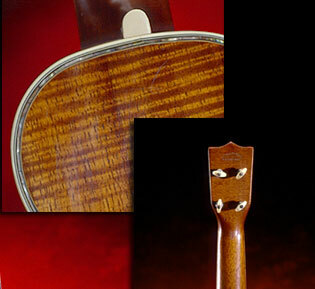 5-K ukes are rare and desirable to collectors because of the exquisite use of koa and pearl. 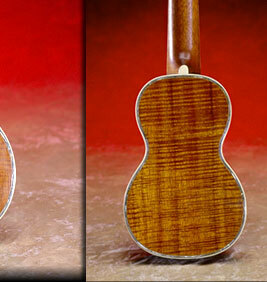 Martin koa ukes are known for their superb sound.